Facing challenging high tuition rates, overcrowding, and rigorous academic requirements at Alberta universities, a growing wave of Calgary students are considering heading south of the border for their post-secondary education. For the first time ever the US College Expo — popular the last several years in Toronto — is being held in Calgary this weekend and expecting up to 1,500 students interested in pursuing a college education in the United States. Joanna Severino, founder and president of PREPSKILLS which runs the Expo, says interest from Calgary families in particular is on the rise and it may be that admittance to Alberta colleges and universities is becoming more difficult. “Overall, we were seeing more and more Calgary students at our expo in Toronto interested in pursuing US colleges, so we decided to do one in Calgary this year. “And we’ve already seen a lot of interest. Kids are interested in the wide diversity of options — there are up to 4,000 schools to choose from.”, said Severino. Severino admits students are struggling to meet rising academic standards at Canada’s larger universities. 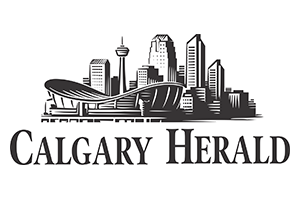 Requirements at the University of Calgary and University of Alberta have reached grade levels of the mid to high 80s for competitive specialized programs like business, engineering and the applied sciences. But Severino says US colleges often consider attributes of prospective students beyond academics, including life experience, volunteerism, and part-time work. According to a 2014 report by the International Institute of Education, 28,304 students from Canada were studying in the US last year, a 5.5 per cent increase from 2012. Of the top 25 countries, Canada now ranks fifth as the country of origin for students coming to the United States. Shiv Ruparell, a Grade 12 student at Strathcona Tweedsmuir High School, is seriously considering a number of universities in the northeast USA, including Vassar College just outside New York City and Swarthmore College in Philadelphia. With hopes of pursuing studies in economics and international relations, Ruparell says he’s especially interested in smaller schools with manageable class sizes, unlike the 500 plus lecture theatres that are more common at Alberta universities. “I’m interested in those schools that are considered ‘little Ivies’ — smaller liberal arts schools with a really strong undergraduate focus. Bill Jones, headmaster at Strathcona Tweedsmuir, says it’s quite common for many of his students to look outside of Alberta for university. But he did admit that rising academic standards are causing increased stress on students forcing them to look at a wider variety of options. Shae Labbe, an elite hockey player awarded an NCAA athletic scholarship from Colgate University in central New York state, agrees more of her classmates are worried about getting into universities and colleges close to home. Bill Moore-Kilgannon, spokesman for Public Interest Alberta which advocates for public education, says the difficulty of accessing Alberta colleges and universities is becoming more common than ever. “We have the lowest post-secondary participation rate in the country at 18 per cent, that’s compared to a 24 per cent national average. Last month’s provincial budget announced spending on Alberta’s post-secondary institutions will decrease $55 million to $5.8 billion over the next fiscal year. That includes $5.2 billion for operational spending and $227 million for student aid, according to the 2015-16 budget. While student aid will increase $14 million, the scholarships will stay flat at $36.7 million, and bursaries will be slashed an eye-popping 25 per cent, from $69.7 million to $52.6 million. This weekend’s US College Expo will be held Sunday from 1-5 pm at the Westin Hotel. Admission is free but pre-registration is required at uscollegeexpo.com. Panel discussions are planned and a number of US college representatives will be on hand. Calgary’s Sunday event is part of a multi-city tour this spring which also includes Vancouver, Ottawa and Toronto.